Cleaning hacks, we all want to know them, right? 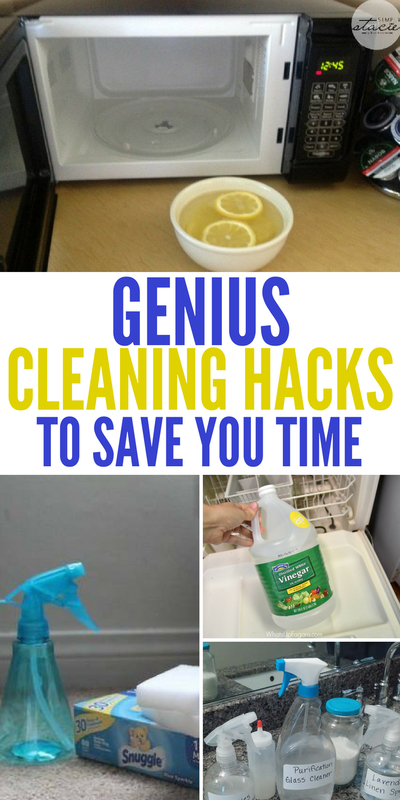 I mean why wouldn’t you want to know a few genius cleaning hacks to get the job done quickly and efficiently! I am a fan of a clean home, but I don’t want to spend any more time than I have to, getting the job done. Feast your eyes on some cleaning hacks below that will save you time, and allow you to enjoy the finer things in life! Summer is here and I want to be sipping on a lemonade by the pool watching the kids play (check out these fun pool hacks) not indoors scrubbing my grout. Having simple ways to clean is the way to go. I am so glad we live in a world with technology so everyone who is creative can share their knowledge and tips for cleaning your home. Also, make sure to check out these other cleaning hacks I implement in my home. Cleaning Hacks That Will Cut Down Your Cleaning Time! Fan of vinegar? 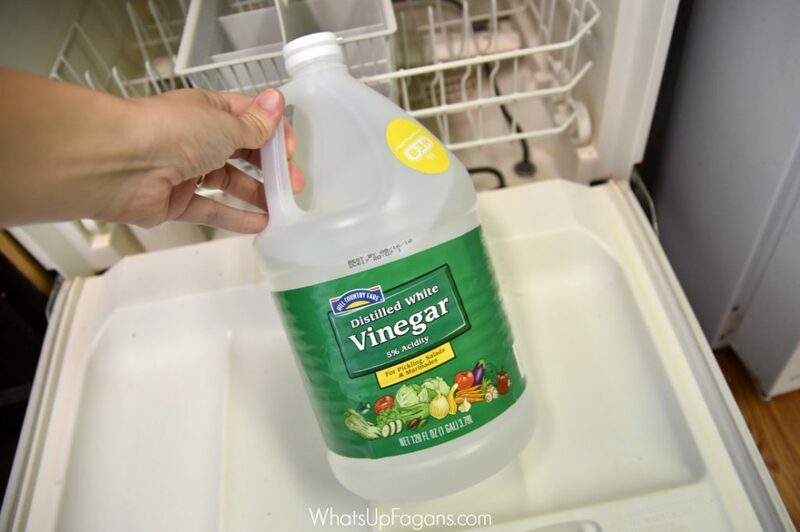 If so see all the different vinegar hacks for cleaning all areas of your home. From cleaning your microwave, removing pen marks and so much more. Head to the bathroom with these handy water marks cleaning hacks to keep your bathroom sparkling! Who cares if you have hard water, these hacks save the day. Get your bathtub nice and clean with these savvy bathtub cleaning hacks over here. Even if you think your tub is impossible to clean, think again! 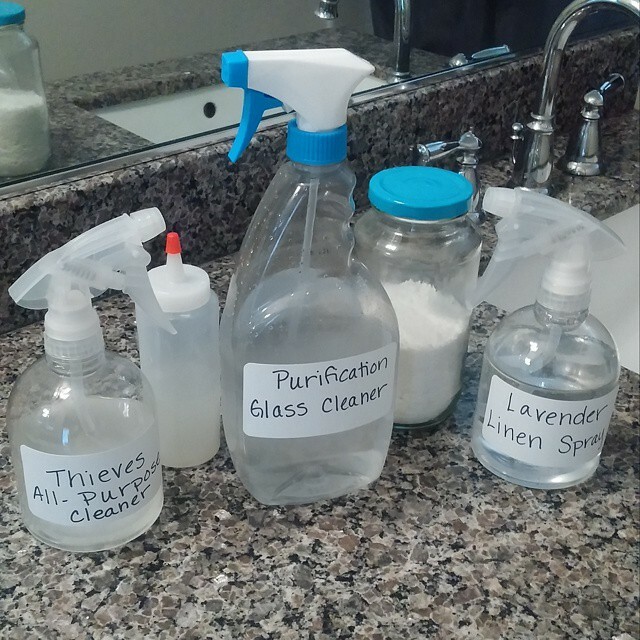 Have you ever thought how can essential oils work at cleaning your home? Here are some essential oil hacks for tackling your home in a hurry! Tackle your fridge in a flash with these fridge cleaning hacks. Get that fridge smelling nice and clean as a whistle. Wonder how grandma’s clean there home? 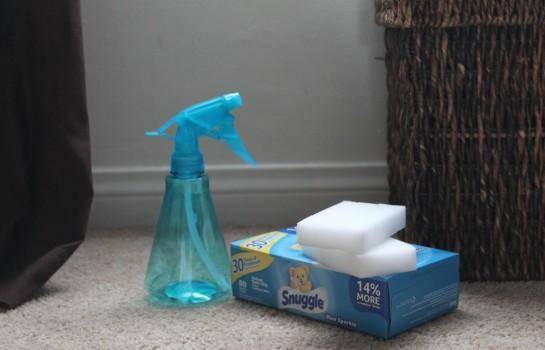 Check out these 18 cleaning hacks for how grandma would clean her home? 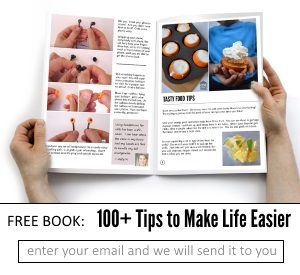 You might find some really good time-saving tips here. Squeaky clean windows are what you will get with these window cleaning hacks! Watch out birds, they might not realize a window is there! Learn how to clean your baseboards the easy way. Bye-Bye dust and dirt, you don’t even stand a chance with this hack! Here are genius ways to get rid of unwanted pet hair fast! Don’t sit and struggling to try to pick off every hair on your furniture, use these hacks instead. 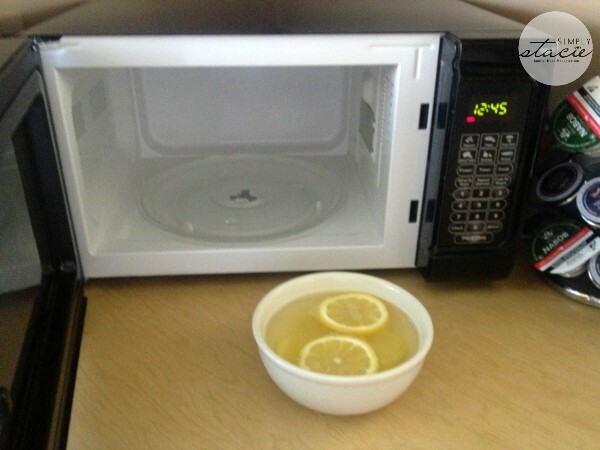 I love this microwave cleaning hack, no chemicals, and in short while all the splatter marks are gone and you have a great smelling microwave again. If you own wood floors you have to head over to learn about these wood floor hacks. It will save you so much time and allow you to have those freshly cleaned floors you dream of! Hate dusting? Check out these dusting hacks that are smart and will allow you to dust efficiently to get your job checked off your list in a hurry. Learn how to clean your dishwasher the right way and keep it running well. 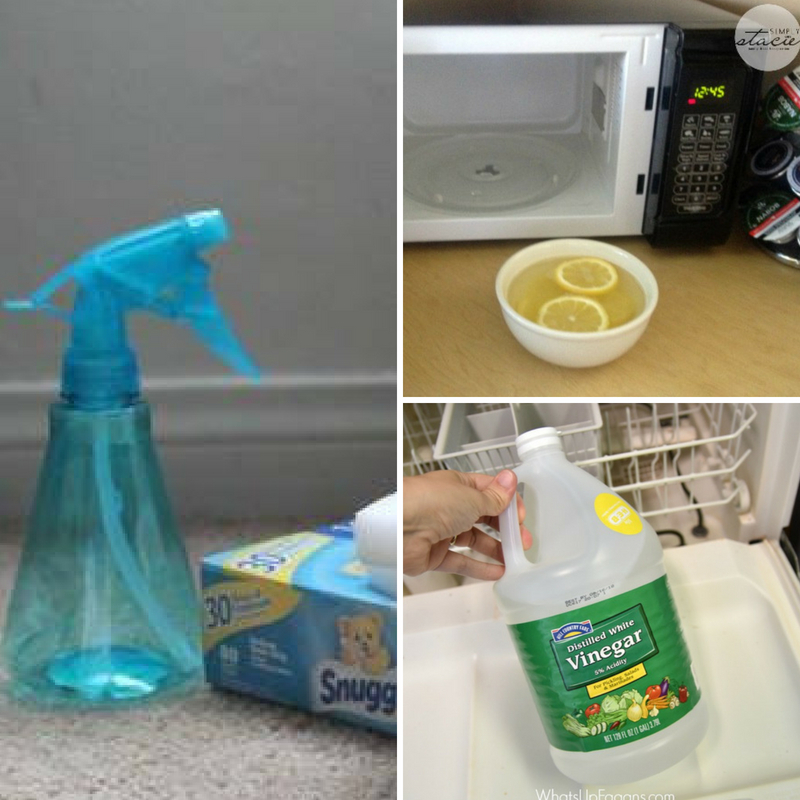 This is a wonderful cleaning hack that uses a steam cleaner and vinegar. Head over and see these awesome carpet cleaning hacks that will help get stains out of your carpet and ready for company in no time. Skip the oven cleaning and reach for baking soda to clean your oven. This will do the job and fast without having to air out your home from the toxic fumes from an oven cleaner. What is one cleaning hack you can’t live without?